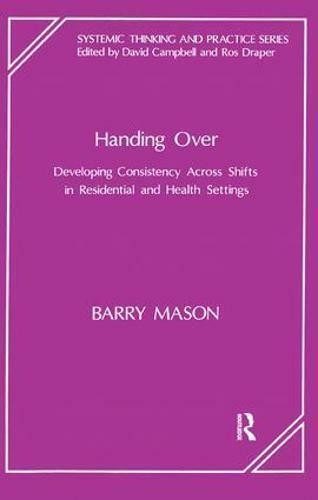 This book introduces a new way of conducting a handover which allows the workers themselves to see the process from a wider perspective and to gather information in a different way. The major change is that the team coming on shift take charge of the handover rather than the one going off shift. The new shift then interviews the old. The book gives a clear, practical account of this new model and contains many ideas, particularly relating to interviewing skills, which can be used in other aspects of one's work. There are numerous coaching exercises for the individuals and staff teams as well as verbatim examples of the new handover in action.